If you're familiar with the way the company named Patagonia rolls, you won't be surprised by these unusual hiking food offerings. Then use this Patagonia Provisions review as a different way to approach hiking food, looking beyond calories, ease of preparation, weight, and taste. No one asked me to order this food, or to write this review. I'm always on the prowl for delicious and healthy GF trail food, so my own curiosity drove me to sample the food in the Gluten Free Gift Box. Because sometimes a woman has to gift herself! 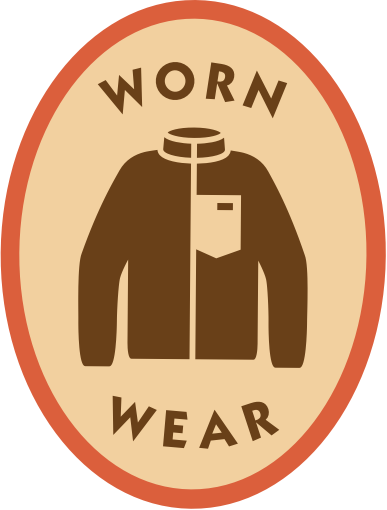 Based on my favorable experiences with this brand (details below), I chose to become a Patagonia Provisions affiliate. If you order their products through this link, Hiking For Her will receive a small percentage of your purchase price. 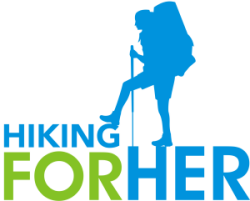 And Hiking For Her will be able to keep the free hiking tips flowing into cyberspace. Essentially, a three way win: you, this website, and your virtual trail buddies all receive benefits from your purchase. Way to use your purchasing power for good! And that fits right into the Patagonia model of ethics and sustainability. The sampler box highlighted in this review contained significant amounts of carbohydrates and protein, both of which are essential in a hiker's trail menu. All of this food arrived nested into a cardboard box, neatly packed and ready for a hungry hiker to start sampling. No rush, though. All of it is shelf stable for months to years. Protein is a precious commodity on a backpacking trip, or even a day hike, because of its weight. Dehydrated or smoked protein is much more convenient for hikers. There's nothing new about the idea of packing smoked fish and dried meat as hiking food. However, the two protein sources in this sampler were notable. If you're like me, flavorful food really matters after a few days on a hiking trip. So that's the first thing to mention in this Patagonia Provisions review. Let me assure you that this salmon is delicious! And a 4 ounce foil pouch is plenty for sharing with a trail buddy, scooped up with crackers or spread on a tortilla. It would also be a great protein topping for hot grains like quinoa, amaranth or rice, plus fresh greens (foraged along the trail). If you've been following the news lately, salmon runs are collapsing at an alarming rate. it's sustainably harvested off Lummi Island, Washington State. This harvest is a collaboration between Patagonia Provisions and the Wild Fish Conservancy. 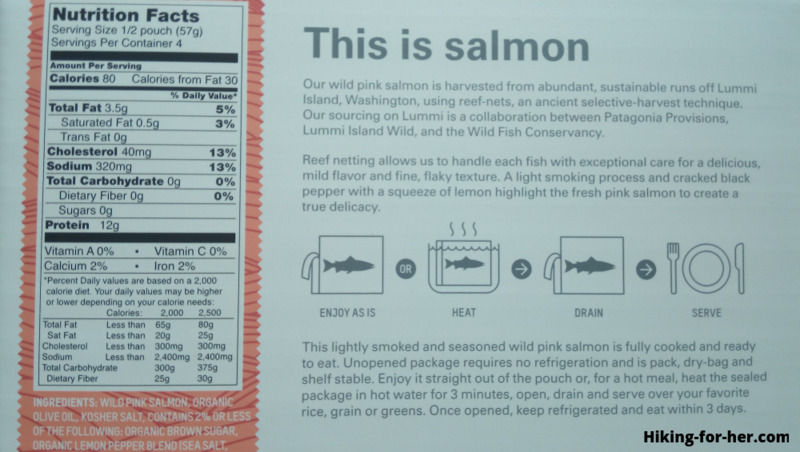 All salmon is caught using reef nets (an ancient selective harvest method) so no other species are harmed. I made the switch to buffalo jerky, away from beef, years ago. As a microbiologist, I was concerned about prions entering the food supply from unscrupulous meat processors. The awful taste combinations of beef jerkies were too salty, too over processed with chemicals, and way too aggressive for my aging palate. Enter buffalo or bison jerky. It's processed in small quantities by small companies with grass fed free range herds, and the flavor is amazing. 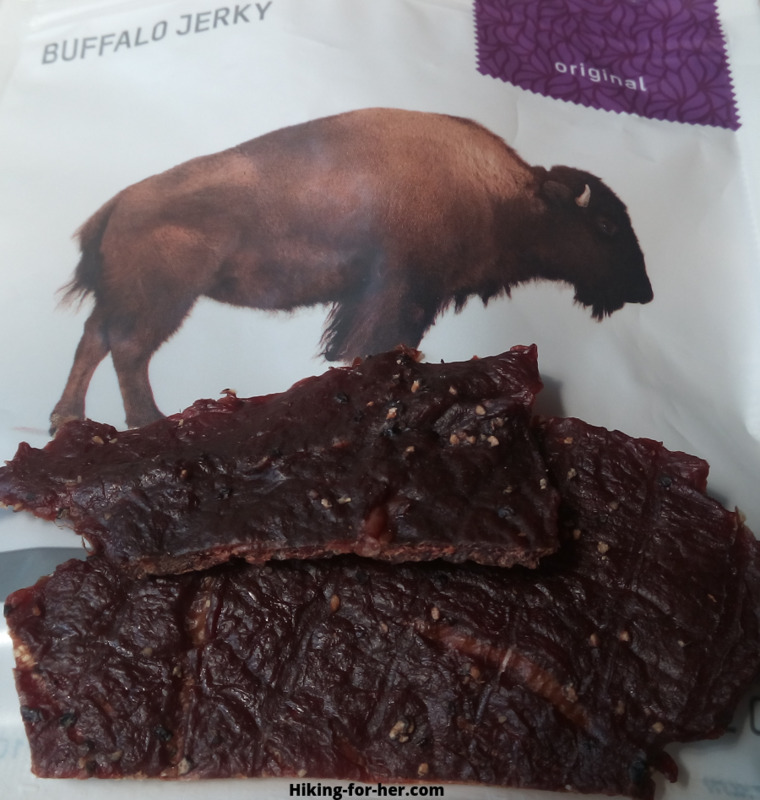 This buffalo jerky is inspected and processed in South Dakota, which makes sense: buffalo is a Great Plains native, and is being reintroduced as a pivotal player in that prairie ecosystem. The Patagonia Provisions jerky has been dried (think of the weight savings in your pack) and lightly seasoned, in this case with black pepper, onion, garlic and paprika. Tastes great without being too salty. Other flavors are also available if black pepper doesn't appeal to you. Enjoy the satisfying chewy texture, knowing that you're delivering lean, clean protein to your hard working hiker's body. I never get tired of sampling new trail bars, also called energy bars. That's why I was delighted to see these bars in my gift box. Trail snacks like these deliver carbohydrates for fuel, but also deliver a flavor punch that keeps me going. All three bar varieties contain black chia seeds, a source of phytonutrients like carbohydrates, protein, fiber, calcium, omega-3 fatty acids (good for fighting inflammation) and antioxidants. Not sure why these matter to you? Read this. Don't expect a lot of sweetness. None of these bars contain cane sugar or grain syrups. Instead, they are sweetened with organic fruit concentrates. That means your pancreas will be able to handle the influx of glucose in a steady manner rather than one big sugar jolt. The almonds create a satisfying feeling, signalling your stomach that a snack has been delivered. The fruit taste in these soft, chewy bars is somewhat subtle. There are no aggressive or harsh flavorings or chemical after tastes, making these bars easy to snack on without risking digestive upsets. What really sets them apart: the organic baobab fruit powder they contain. This is an unheard of plant extract in North America, although widely used in Africa. Why is it used in these bars? 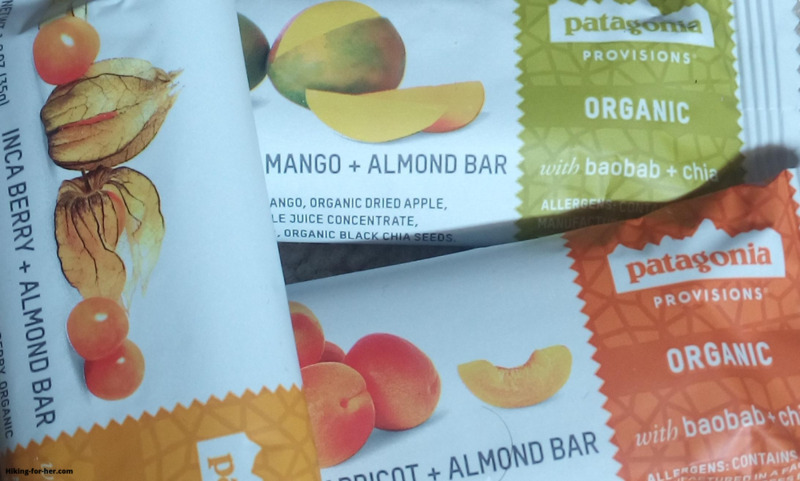 To add a bit of tangyness, and some vitamin C.
If organic sources of trail food are important to you, these bars check all the boxes in that department. If you like strong flavors and a lot of sweetness in your trail bars, these might disappoint you. I learned long ago that a hot cup of soup after a long day on the trail is soul satisfying. It's also a quick way to get more water into your system while keeping your hunger level under control. If you're not on the super soup train yet, you will be if you try Patagonia Provisions dried soups. This soup tastes beyond amazing! Ignore the fact that wolfing down chow after a long hike makes me somewhat biased. I'd eat this soup at home! I was completely surprised by the rich flavor of the black beans and the plump, tasty corn. The chipotle & garlic notes were wonderful, too. Tip: Be sure to give it the full 10 minutes of rehydration time. Lengthen that time if you're at elevation over 3,000 feet. Trail tip: You could share the instant soup packet with a trail buddy, or use it as your main meal. Bump up the nutrition with some cheese, your favorite grain, or some olive oil. You could also add some salmon! Or their newest offering: mussels. After singing the well deserved praises of this high quality hiking food, I also need to share with you the associated costs. This is not your bargain basement, bulk bin food. It costs money to deliver such thoughtfully sourced, organic, sustainable products to the marketplace. You can search for cheaper backpacking food in bulk bins at the grocery store, but without knowing exactly how they were sourced or processed. You can put your health and well being on the top of your hiking list. You're worth it! If price tightly restricts your food purchases for a backpacking trip, you might think this food is out of reach. I've been a starving student and budget conscious mom, too. Sign up for their newsletter to receive 10% off your first order. Keep an eye on seasonal sales and exclusive offers by bookmarking this page and checking regularly. Ask for a Patagonia Provisions gift box when someone wants to buy you a present to celebrate your birthday or a holiday. Skimping on food is not in your best interest as a hiker, so if you can economize on gear (used tent, a bartered backpack, etc.) that's preferable for your long term viability on the trail. This food tastes delicious, full stop. It's packaged to sustain any jostling and squishing inside your backpack. More to love: it's nutritionally balanced and easy to use, shelf stable, and won't put nasty chemicals or preservatives into your body. It's also carefully sourced from sustainable sources. I will be gifting family members, trail buddies and myself with this food, for all of these reasons. 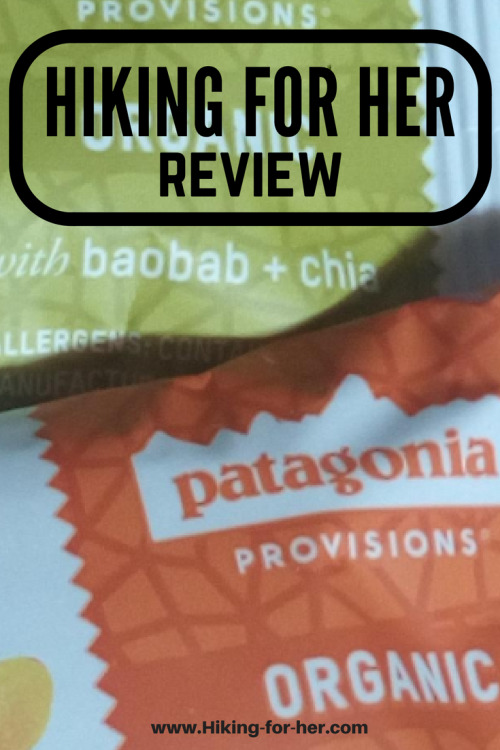 If you have questions about this Patagonia Provisions review, or hiking nutrition, contact me. Ready to order your own supply of high quality hiking food? This link will get you started. 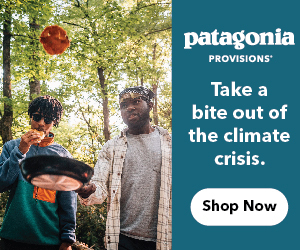 Check out the Patagonia outdoor gear, too! I've had one of their fleece jackets for over 20 years, and it still looks brand new and performs well on the trail. This brand of hiking clothing and outdoor gear is well known for its quality and thoughtful sourcing of materials. Tip: Patagonia will repair, share and recycle your gear. Wow! And you can purchase gently used clothing to save some of your cash for other hiking gear!